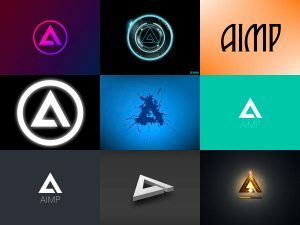 We have looked and uploaded a list of 100 the latest, greatest, and popular wallpapers, and backgrounds for the AIMP media player. Wallpaper resolutions available for different platforms: Windows, Linux, and Android platforms. Available for different most common display screen resolutions from 1920×1200 to 3840×2160. A wide variety of categories are available to choose different styles from, options are: Technology, Arts, Visualizations, Computers, Abstracts, etc. Available the dark and light tones. To get the Windows and Android desktop backgrounds (wallpapers) for AIMP, click the Download button.